DAVID LE/Staff photo. 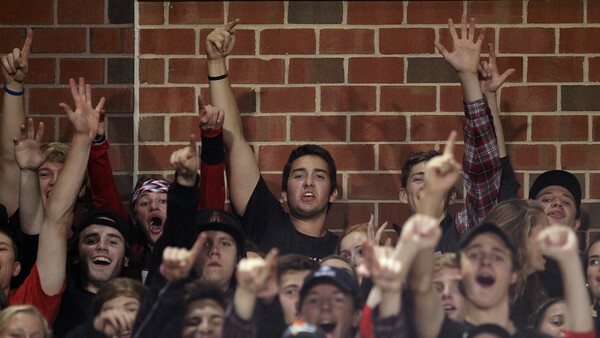 Marblehead fans cheer on the Magicians against Gloucester on Friday evening. 11/6/15.